We place great value on collaboration and working with other schools on a variety of levels. The Head Teachers meet six times a year at a different school each time. 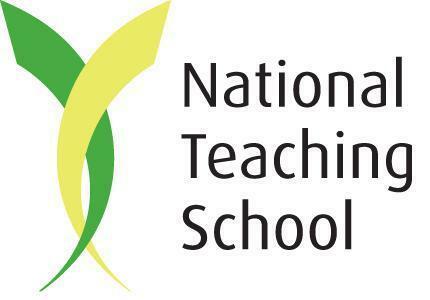 The focus is on sharing knowledge and expertise, presenting a united front to issues that can affect all schools, strategic thinking and supporting pupils and staff through joint activities. We also plan an 'Away-Day' once a year where we often visit other schools as part of a more in-depth focus on one area. Previous examples have included pupil premium and vulnerable learners, creativity across the breadth of the curriculum, assessment and more recently, improving parental engagement. Subject leaders also meet termly with a focus on developing collaborative activities for pupils as well as strengthening assessment practises through joint moderation events. We also have a Business Manager / Finance Officer and Admin Officer group. There is still potential to develop these further, current ideas include Teaching Assistant and Governor groups. The Devizes and Lavington Multi Agency Forum is held six times a year at The Trinity. Andrew Wilson, our Executive Headteacher, Chairs the meeting which is attended by a wealth of professionals. Those attending regularly include: Educational Psychologists, Behaviour Support Teachers, Social Workers, CAMHS (Child and Adolescent Mental Health Services) Pre-School Safeguarding Leads, Special Educational Needs Co-ordinators, Headteachers and Children's Centre Managers. Claire Perry, our local MP, has also attended one of our DALMAF meetings and commented on the strength of collaboration and focus on improving outcomes for children. At DALMAF meetings professionals update each other on the services offered by their agency and identify ways forward with children who need a multi-agency approach. 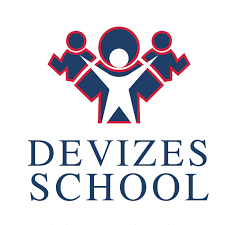 The Devizes Early Years Forum meets at The Trinity six times a year and has an open invite to all schools, pre-schools, nurseries and child minders in the area. The meeting is organised by the Devizes Children's Centre, through the Local Authority, and offers professionals an opportunity to discuss best practice, for example: transferring from pre-school to school, approaches to teaching phonics, safeguarding, developing opportunities for play based learning as well as an update on courses being run by the Children's Centre. The Trinity believes close liaison between Early Years providers is essential if children are to achieve their full potential in their early years. For this reason we will continue being a local hub where professionals can meet regularly and share best practice. Each year in term 6 Dauntsey's School invite our year 6 children to spend a half day in their Design Technology department. The children are taught how to use the CAD (computer aided design) resources within the department to create a 3D clock. This involves the children seeing their CAD design laser cut onto perspex, before heating it to bend into the required shape. The children then add their individual design to the clock face and assemble the working parts of the clock before bringing home their master piece. The Pickwick Learning Teaching School Alliance (PLTSA) is a DfE designated group of schools, leaders and partners committed to providing support and sharing best practice in education and beyond. We’re using our collective expertise and shared vision to ensure every child, individual and school in our partnership reaches their goals. The PLTSA aims are simple: to improve standards and life experiences for all pupils and adults within our alliance. We think this can be achieved by working together and learning from each other.